Since the piano arrived, our home has been in a bit of disarray. There’s nothing like having to shift all of your furniture around. Last night, I made a major stride in bringing order to the room. 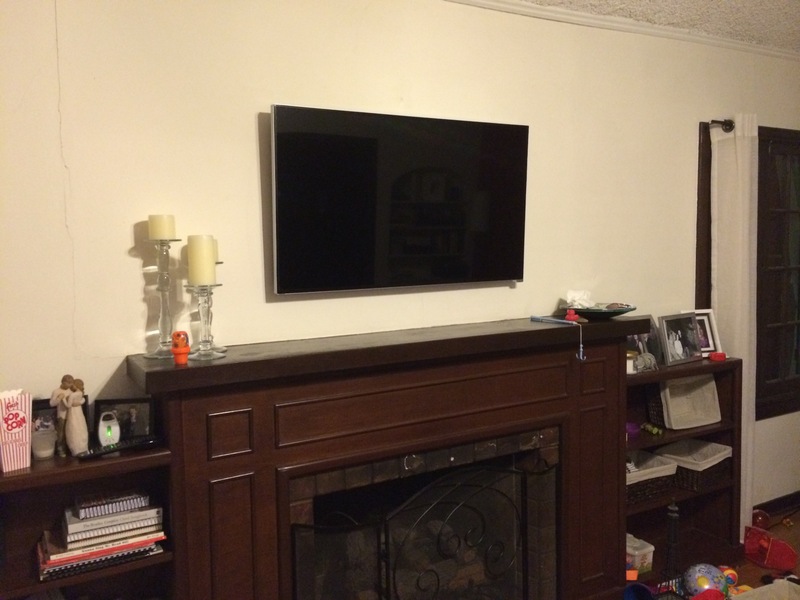 I mounted the tv above the fireplace. This means I can eliminate the tv stand so that the piano can take its place. I still need to figure out how to conceal the cables and where to put the components, but that will come. For now, it works. And, I can begin thinking about moving the piano. I’m going to need some help with that.